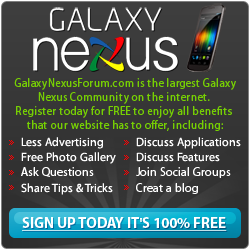 Below you will find a list of discussions in the GSM Hacking & Mods forums at the Galaxy Nexus Forum - Samsung Galaxy Nexus Community. The GSM Hacking & Mods forum is for discussion of: This section is dedicated for hacking, modding and tweaking the GSM version of the Galaxy Nexus. Announcing WugFresh Galaxy Nexus Root Toolkit for GSM Versions! Trying to get Pandora working outside US..